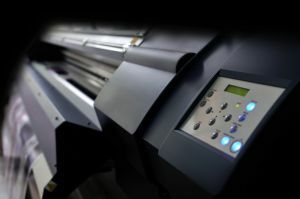 We print on all types of the materials - including paper, banner films, self-adhesive films and others. Print with aggressive solvent paints, which penetrates deeply in material structure and connects with the base, provide fastness from solar radiation, atmospheric factors and abrasion. Additionally You have also a possibility to varnish printings in order to harden them.